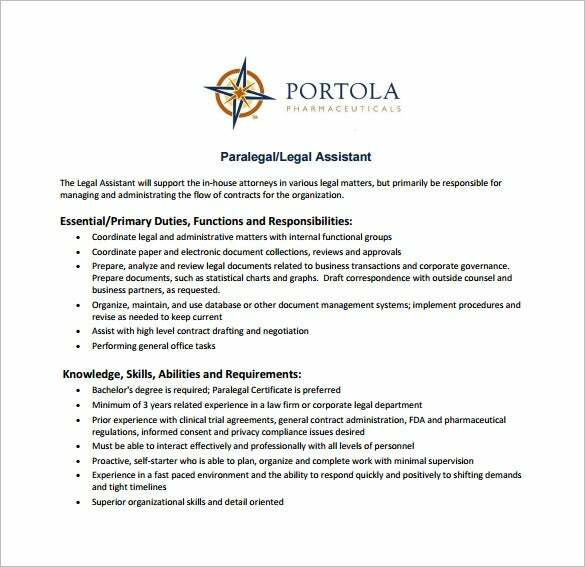 A legal assistant job description generally highlights the specific duties a legal assistant is required to perform. The job description must indicate such tasks as assisting the attorneys during preparation for trials in every court proceedings. You may also like Job Description Templates. diabetesnsw.com.au | When you hire a legal assistant for your company, assigning his job requirements is always welcome. In fact, if his duties are already made clear, there will be no confusion or contradiction in the future. However, creating a corporate legal assistant job description is not that easy. This PDF template can be a perfect workaround for that purpose. 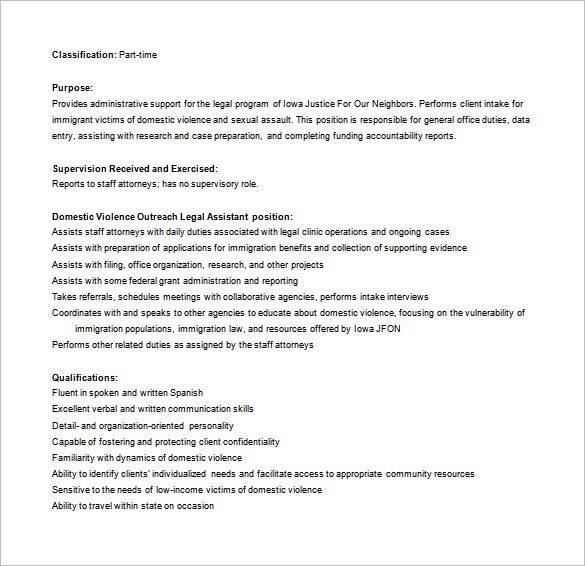 iajfon.org | Do you intend to specify the duties of a domestic violence outreach legal assistant? If yes, then this template can actually help you in framing the right words for the purpose. This free template available in Word will help you put all things in order, that too with minimal effort. scoe.net | Executive legal assistants play an important role in keeping things under control. The duties of an executive legal assistant can be made clear and specific with this free PDF template download. 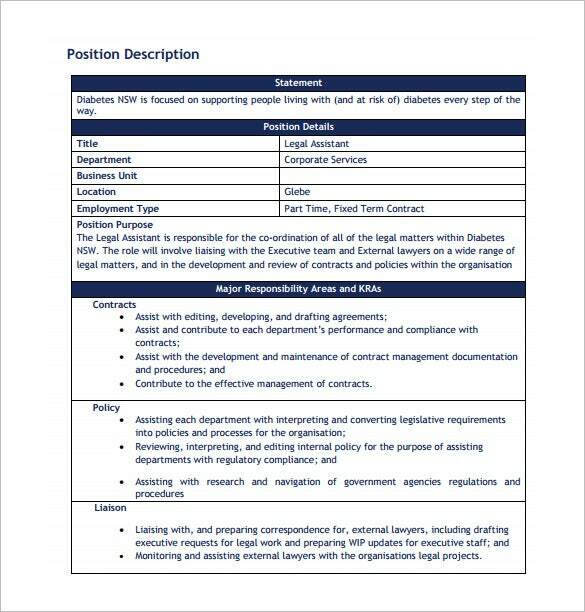 If you want to draft a job description after careful planning, this template will provoke you and help you shape a nice structure for your executive legal assistant job description for free. 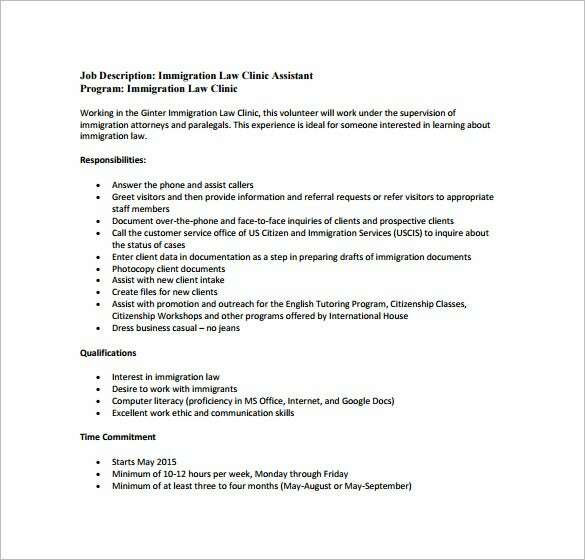 drinkerbiddle.com | A job description document makes a legal assistant’s jobs clear and paves way for future references. Hence, it is an important thing to write, especially if you are hiring him for a real estate company. This professionally composed template is available in PDF format, which is easy and quick to download and use. 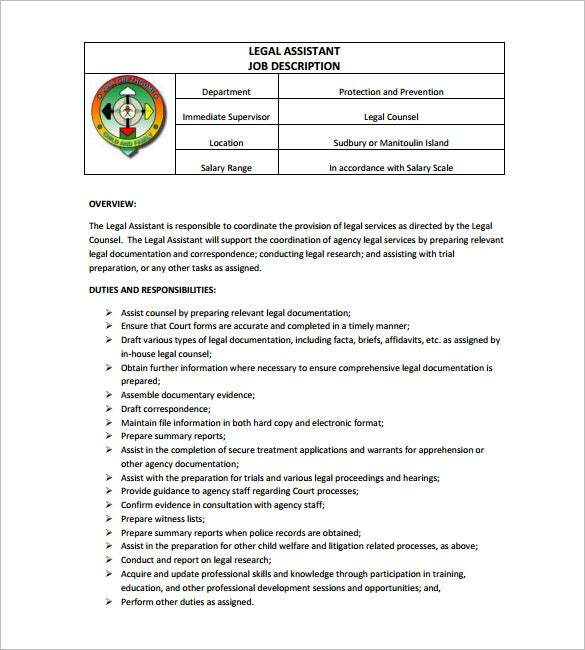 The assistant is also required to identify all appropriate laws, legal materials, judicial decisions, legal articles, case law, and every other source of information necessary for the argument of cases. 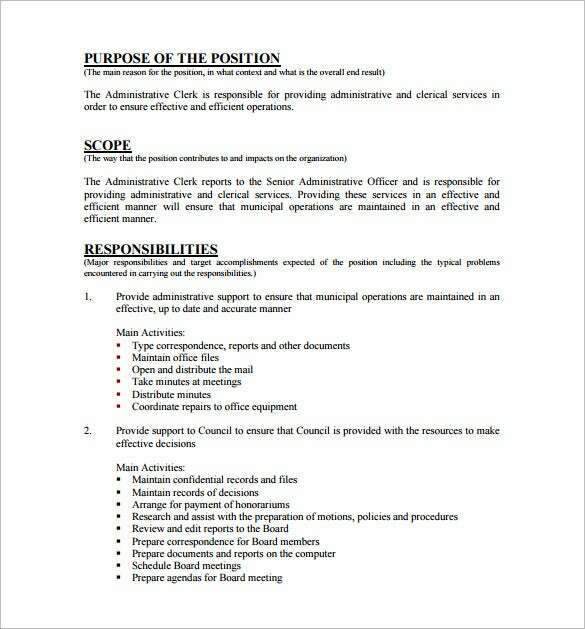 They also draft pleadings and attach them on all relevant accompanying materials in Job Description Templates. 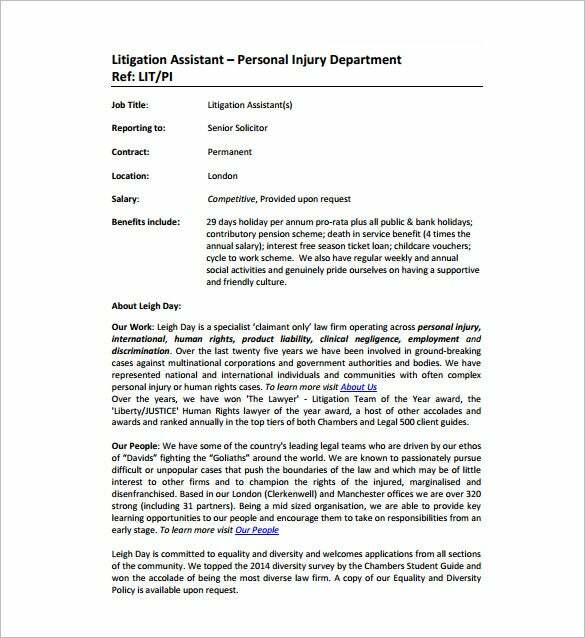 Why Do You Need a Legal Assistant Job Description Template? Is your legal assistant not performing his duties well? Do you want to make his duties clear and ask him to fulfill them with right? 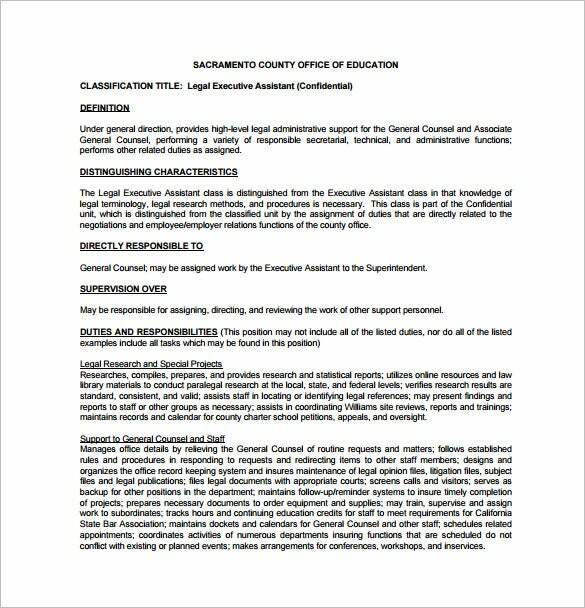 The legal assistant job description templates available here will help you to make his jobs clear so that he can remember what he is expected to do. There are several duties that a legal assistant has to perform, including creating and submitting the documents, working in conjunction with other departments of a company, negotiating with other parties etc. 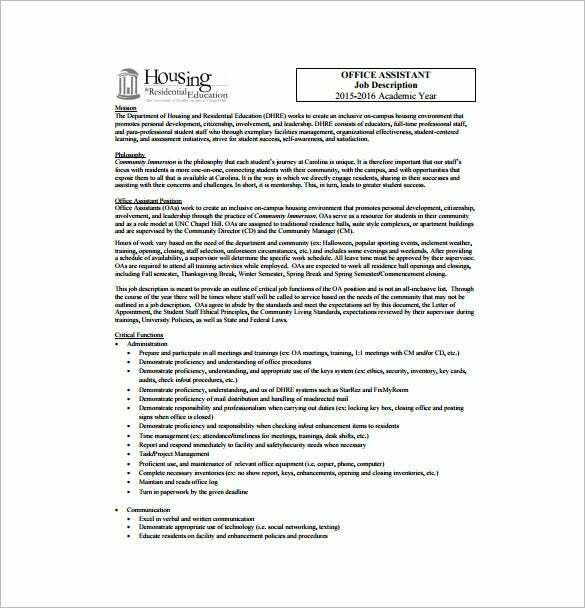 Add your own touch by creating a job description using one of the templates available here. All you have to do is to download the template that you like best, and make the necessary changes in it to make it your own. 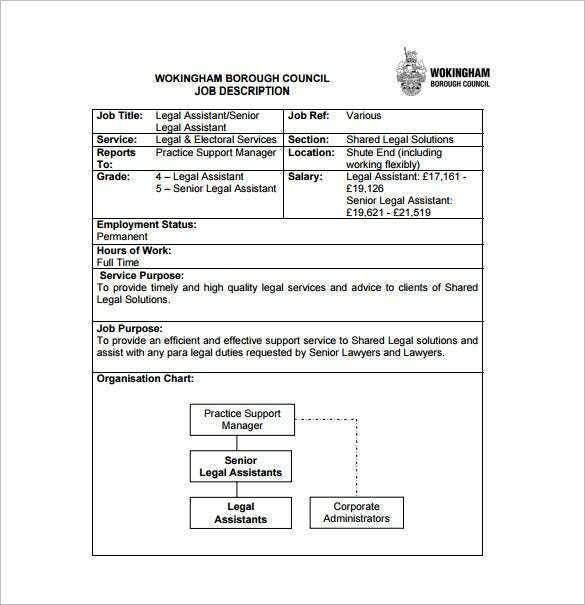 When Do You Need a Legal Assistant Job Description Template? 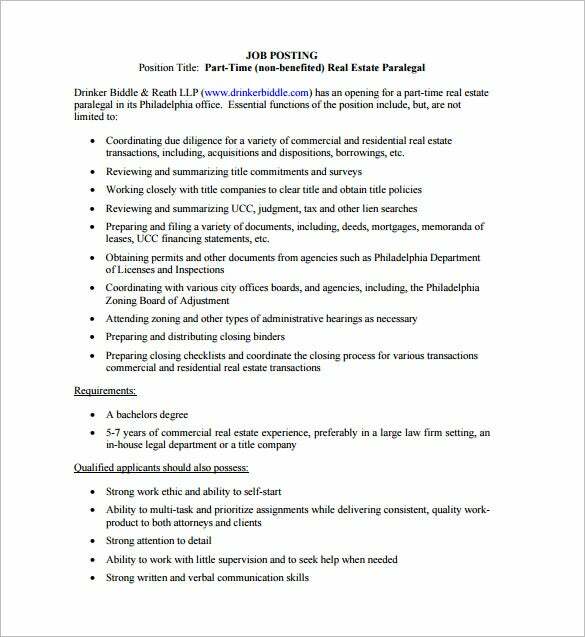 You usually need a legal assistant job description template at the time of hiring a new legal assistant. But sometimes, you may also need to download it if your current legal assistant is not working properly, and you want to make his duties clear and specified. You can keep this document for reference, so that you can show it to your legal assistant whenever he lacks in his duties. 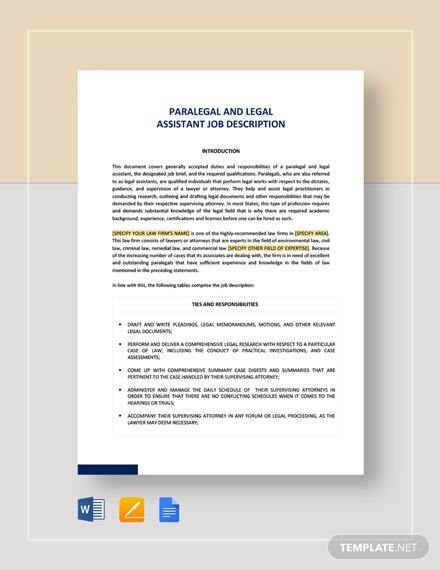 The legal assistant job description templates available here are really magical to keep the communication between you and your legal assistant alive. They help in keeping things clear between you two, so that there is no space for misunderstanding or contradiction. With the help of a job description, your legal assistant knows what he has to do for you, and keeps everything under control.